Last December, Stephen and I were downtown for a restaurant event that left us in search of a second dinner. 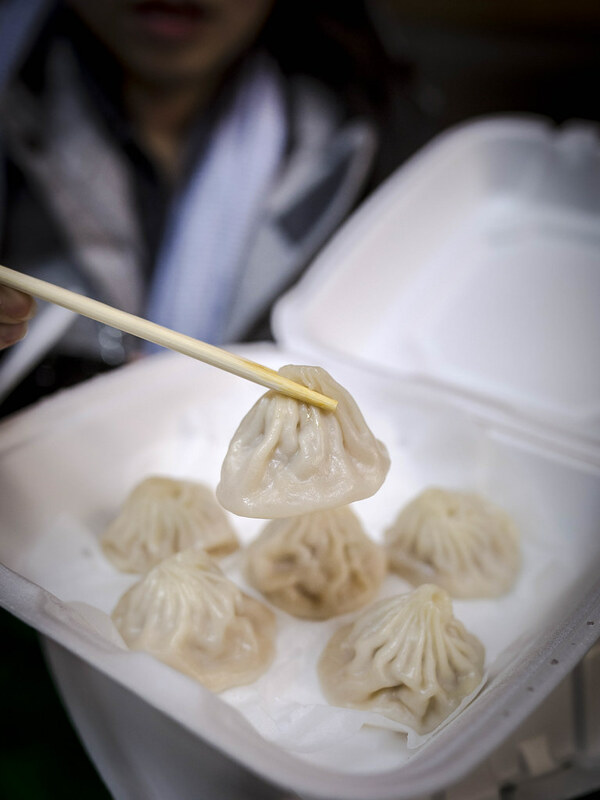 Having parked in Chinatown we decided to check out Juicy Dumpling, a new shop that had opened in September specializing in xiao long bao with super low prices ($2.99 for 6 baos). Atmosphere: The quick service restaurant was located on the first floor of Dragon Tower at Spadina and Dundas with their own entrance on Dundas St. The layout was reminiscent of any fast food shop with an order counter, self-service utensils, a condiment station and movable square tables. While the restaurant was busy, turnover was quick and I was able to find a seat while Stephen ordered. Additional seating was available inside the lobby of the building. Service: After placing our order, we were given a buzzer that would ring when it was ready to be picked up. 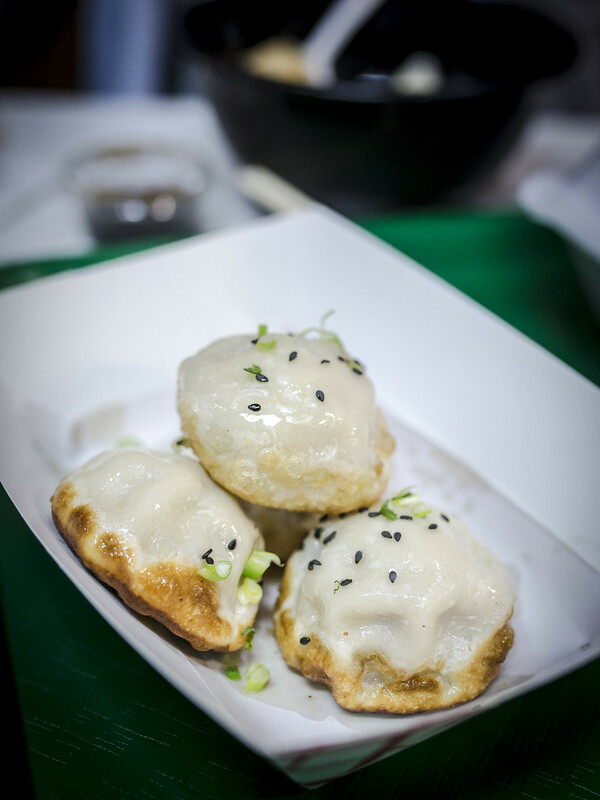 Our baos were ready quickly and hot from the kitchen. Soy sauce, Chinese vinegar and hot sauce were available self serve with little plastic dixie cups. 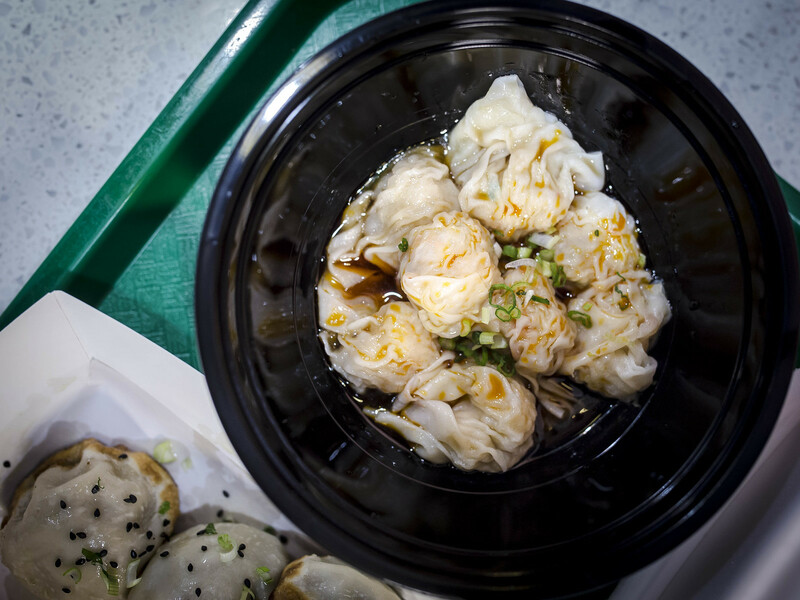 Adding a serving of sliced ginger to each order of baos would be a great addition. 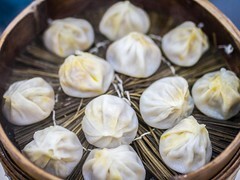 Food: Juicy Dumpling’s menu was simple with an assortment of steamed and fried xiao long baos (listed as mini soup dumplings), dumplings and some traditional Shanghainese snacks. 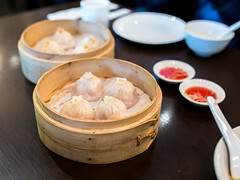 Stephen and I ordered two trays of the steamed pork baos, one order of pan fried juicy buns (their version of sheng jian bao) and a bowl of shrimp wontons with spicy sauce. The baos were good. The skins were a bit thicker than I prefer but consistently even and the filling well seasoned with a good amount of soup. 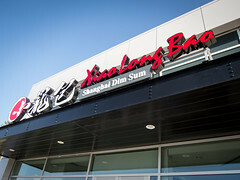 When picked up, the baos lacked the signature xiao long bao droop. I may have liked the fried version better with crispy bottoms that masked the shortfalls. 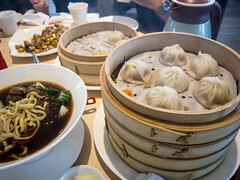 The pan fried juicy buns were also fine, good filling with a similar skin as the soup dumplings, but not quite sheng jian baos (still a thin wrapper but more yeasty in texture). I did really like the shrimp wontons, more specifically the chili oil that was super fragrant and sweet without being overly spicy. This was one of the more expensive menu item at $7.99 for 8 pieces. Funny enough, I see lots of online reviews of this dish disliking the very aspects that I liked. Too sweet, not spicy. So to each their own. 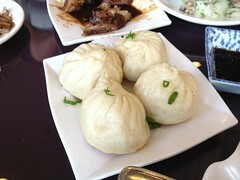 Overall, our meal at Juicy Dumpling was satisfying and the value undeniable. I wouldn’t go out of my way to visit, but if I was already in the neighbourhood hungry, they’d be a top contender for a meal.